Crock Pot Creamy Chicken Salsa makes a great dinner. If you love chicken salsa you are going to love this creamy version served over white rice. 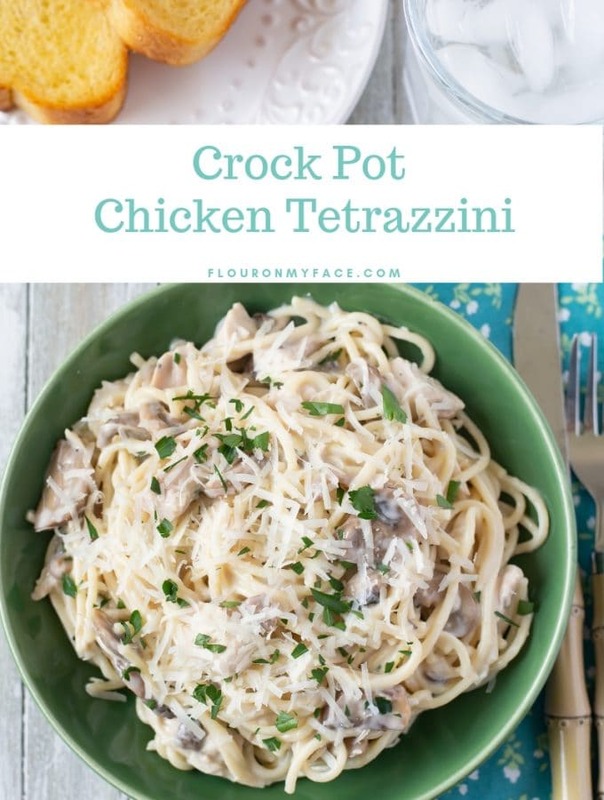 You need to add this creamy chicken crock pot recipe to the menu this week! If you haven’t noticed by now I am a chicken eater. I have always joked that I could easily give up meat completely as long as I could eat chicken. So if you poke around the site you will find plenty of chicken recipes. 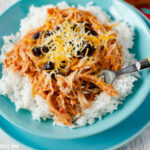 I’ve have another 42 chicken crock pot recipes posted. 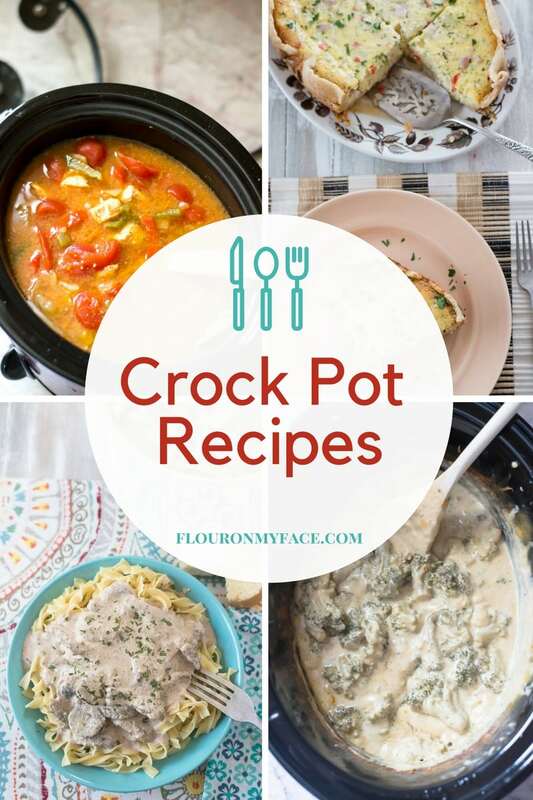 So if you love chicken crock pot recipes check out my crock pot recipe page where you can find every one of the crock pot recipes I have ever shared right there on one page. Over 200 of them. 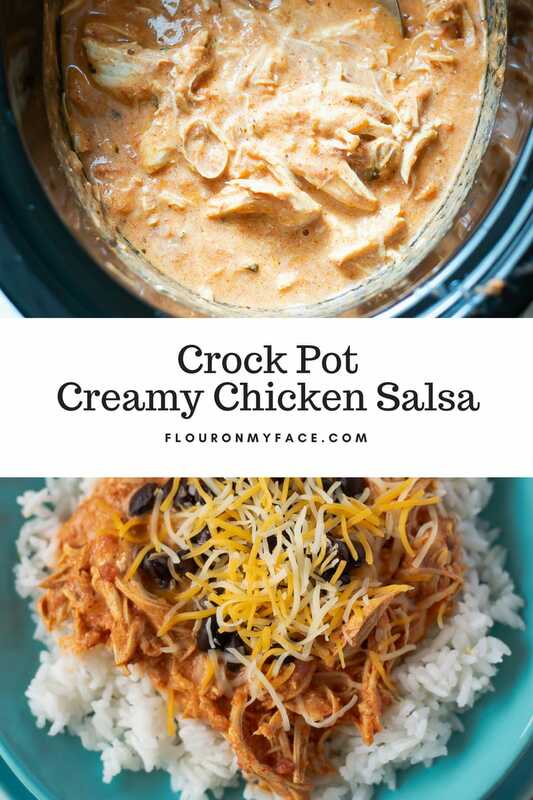 Crock Pot Creamy Chicken Salsa is very easy to make. All you need is two skinless boneless chicken breasts, an envelope of Taco seasoning, a jar of your favorite salsa and some cooked white rice. 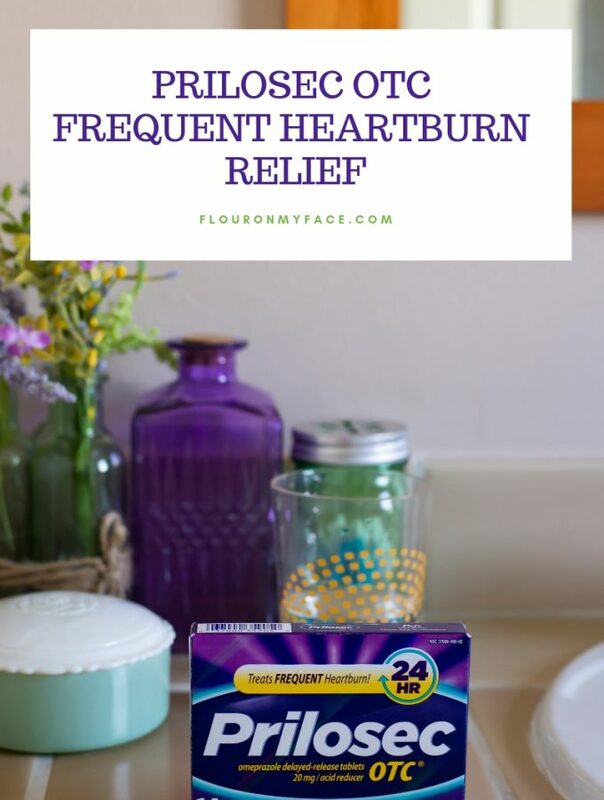 You could even skip the white rice if you feel like it. 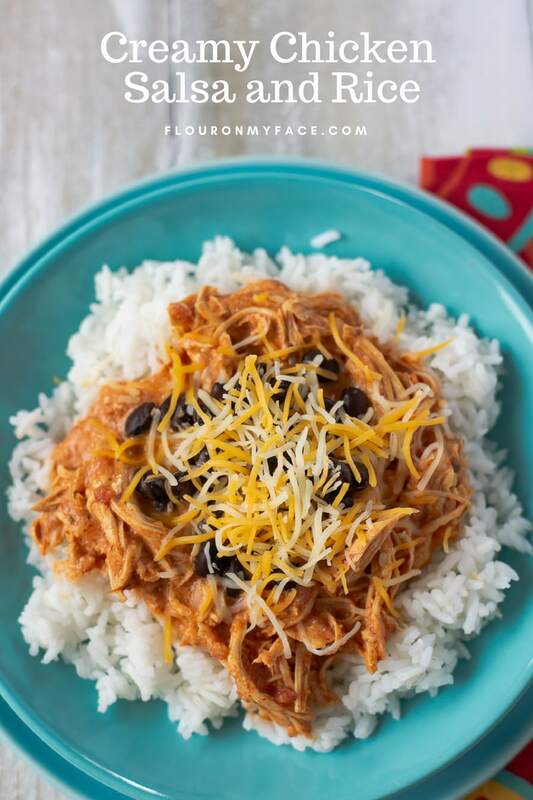 Crock Pot Creamy Chicken Salsa is delicious served over white rice but you could also wrap it up in a warm tortilla with shredded cheese, sour cream, and a tablespoon or so of your favorite homemade salsa like the Mango and Pineapple Salsa you can see in the photo. I’ll be sharing the homemade Mango and Pineapple Salsa recipe soon. If you don’t have any homemade salsa just use whatever you have one hand. Besides my love of chicken recipes, I also love Mexican food. 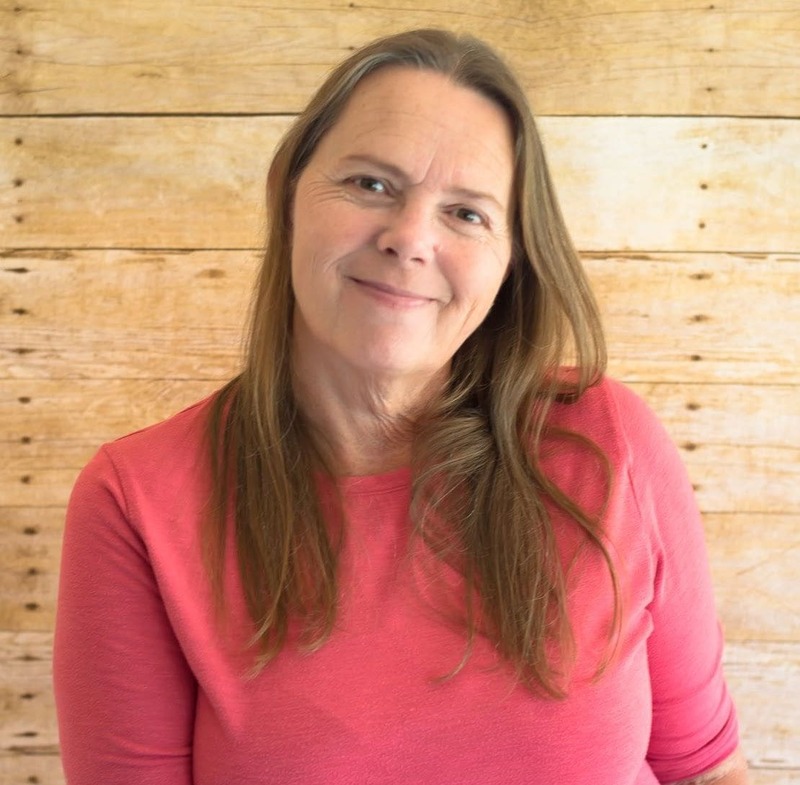 I have many Mexican recipes and you can find them in my Mexican food category. Place the boneless chicken breasts in the crock pot. Dump the jar of salsa in and sprinkle the taco seasoning over the salsa. Mix the taco seasoning in as much as you can. 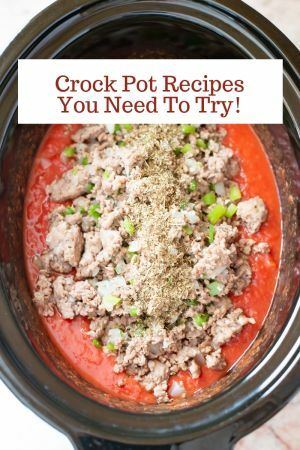 Place the lid on the crock pot and cook on low for 4 hours. After 4 hours or when the chicken breasts are cooked to an internal temperature of 165 F. or higher remove the chicken breasts from the crock pot and place on a plate. Use two forks to shred the chicken meat. 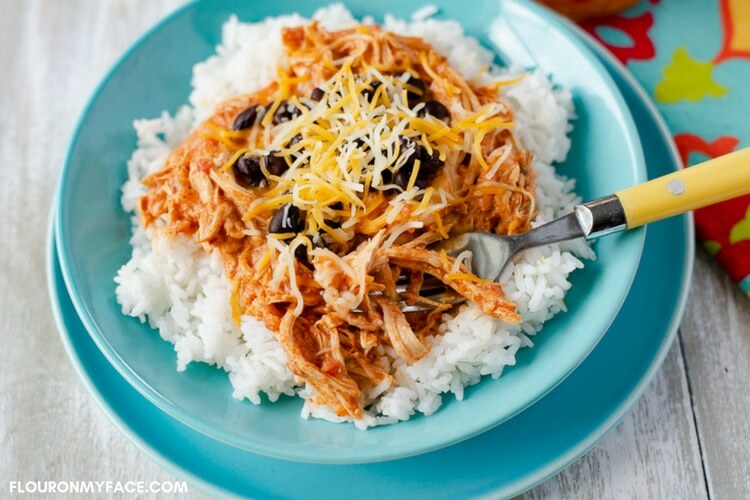 Put the shredded chicken back into the crock pot and mix well to combine with the sauce. Using a large spoon carefully mix in the sour cream. 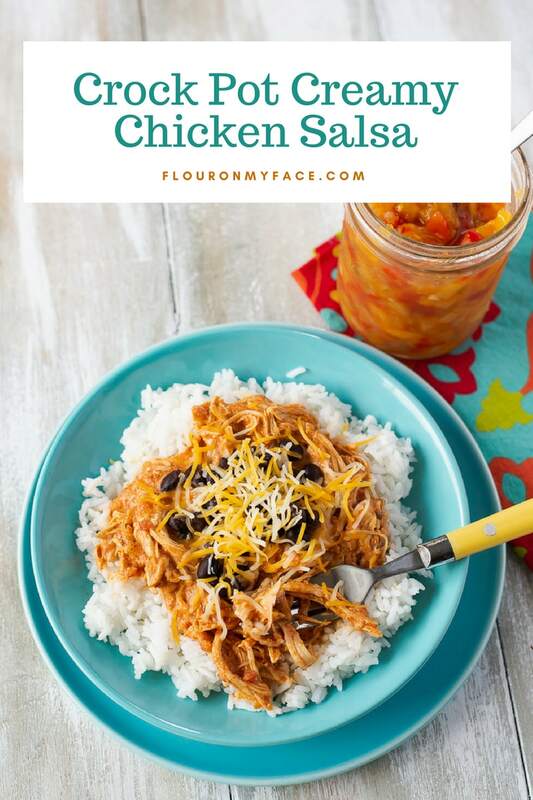 Serve the crock pot creamy chicken salsa over cooked white rice with black beans. Sprinkle shredded cheese over the top and serve. Crock Pot Creamy Chicken Salsa makes a great dinner. If you love chicken salsa you are going to love this creamy version served over white rice. You only need a couple of ingredients to make this awesome meal. 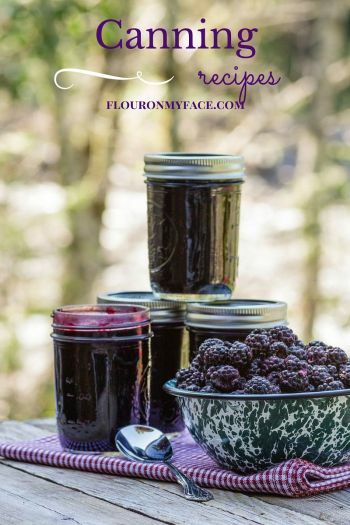 Head over to the Flour On My Face Crock Pot Recipe page for more easy crock pot recipes. 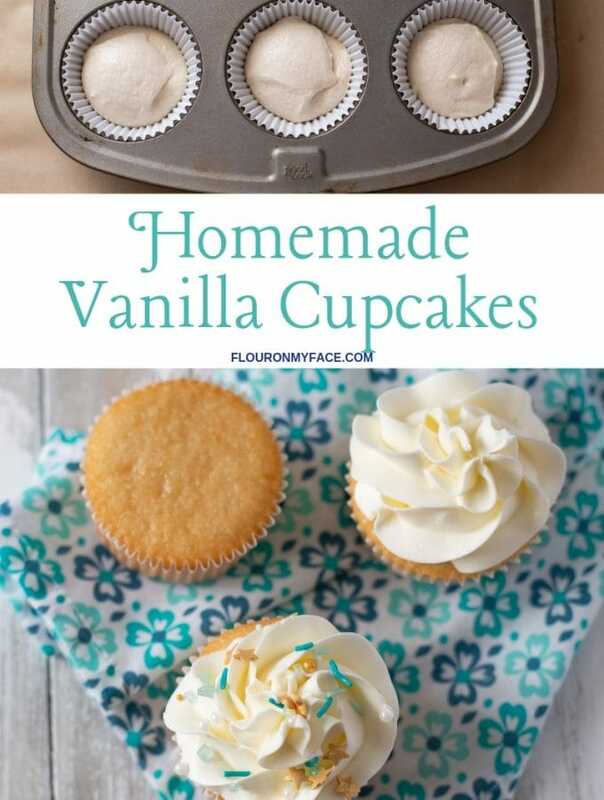 This looks really creamy and yummy!